Ladies and Gentlemen, let us celebrate the publication of Mike A’Dair’s new book of “screenplays for a television miniseries,” dramatizing the heroic (and tragic) saga of Charles Wisner Barrell (1885-1974) — a major contributor to the fledgling effort to establish Edward de Vere, Earl of Oxford as “Shakespeare” during the first half of the twentieth century. I could hardly put this book down and found myself reading through its 684 large-size pages in just a few days. The only thing better might be viewing a production of it on screen! In any case I hereby recommend The Ashbourne Saga ($49.99 on Amazon) for an absorbing, informative and emotional journey through the heart of the Oxfordian movement in its early stages. The saga begins in London in 1847 with the discovery of the so-called Ashbourne Portrait of William Shakespeare, auctioned at Sotheby’s in New York in 1928 and purchased in 1931 by Henry Clay Folger’s widow for the new Folger Shakespeare Library in Washington, D.C.. The painting had already become controversial, with M.H. Spielmann having warned in 1910 that the aristocratic nature of the portrait precluded it from depicting the Stratford man; and in 1932 the Oxfordian author Percy Allen argued that it originally had depicted Edward de Vere but later had been retouched. 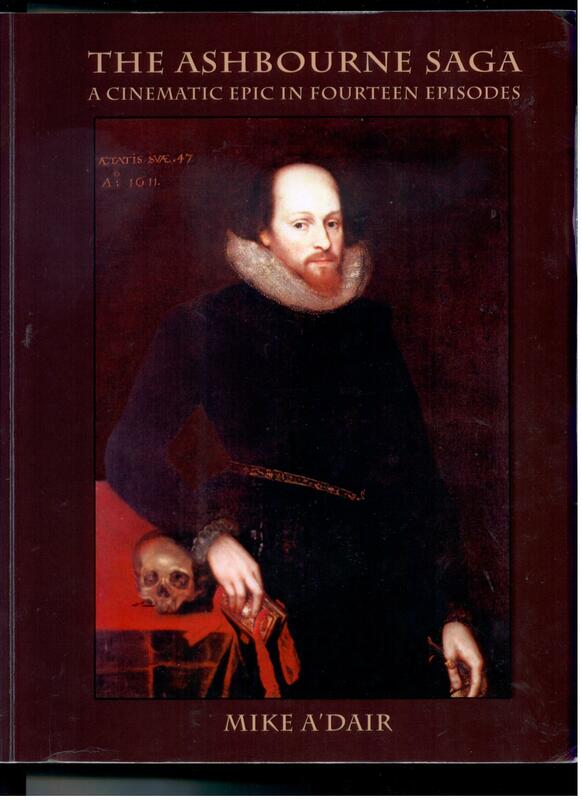 Then in 1940 Barrell reported in the prestigious Scientific American that his investigations with X-ray and infra-red photography revealed the portrait had originally been that of a nobleman, Edward de Vere, but had been altered to better conform to the Stratfordian conception of Shakespeare. This was a bombshell in support of the Oxfordian case. Before that happens, however, Barrell will do some of the greatest research and express some of the most profound insights (in superbly written, eloquent essays) that the Oxfordian movement has generated. Along the way, as we follow his journey in this series of teleplays, at least two interrelated themes deserve attention: (1) Barrell’s discovery that Oxford’s mistress Anne Vavasour had given birth to his illegitimate son, Edward Vere, followed by his conviction that Anne is the “dark lady” of the Sonnets, making their son a second “fair youth” (the first being Henry Wriothesley, Earl of Southampton); and (2) the growing division within the Oxfordian movement involving the so-called Prince Tudor theory of Southampton as Oxford’s unacknowledged royal son by Queen Elizabeth. In A’Dair’s screenplay, this division is dramatized in various ways up to the final dialogue in 1950 between Barrell and Charlton Ogburn Sr., an advocate of the PT theory (which, in 1952, he and his wife Dorothy Ogburn would set forth anew and expand in This Star of England). Well, I’d say he has achieved that goal. True, there are no car chases, no bank holdups, no shootouts, no torrid love scenes; nonetheless, he has put together a work of emotional, intellectual and artistic integrity — not to mention that it stands as a record of this history that current and future students of the Shakespeare Authorship Question will find to be of interest and value. Mike A’Dair is a poet, playwright, screenwriter, independent scholar and author of Five Essays on the Shakespeare Authorship Question (2012). He attended California State University at Hayward and lived in San Francisco during the 1970s before moving to Willits, a small town on California’s north coast, where he still resides. Edward Vere 17th Earl of Oxford’s case of 1615 occupies a rather unique position in the development of the English legal system and is frequently referred to as the corner stone of equity in the modern English legal system. It could be said that the case shares an Ipso Facto  relationship with the Court of Chancery, with each party relying; unconsciously on the others existence for their development. Ipso Facto is a phrase believed to have been made popular by Thomas Gray poet and historian in the 18th century with it’s origins to be found in Old English and Latin. Thanks. I urge others to read it, too! Great review, Hank. Definitely on my reading list! Congratulations to Mike for his accomplishment bringing this story to print.